can I walk in on weekdays and still get the same rate?? Ya .. I was wondering ? 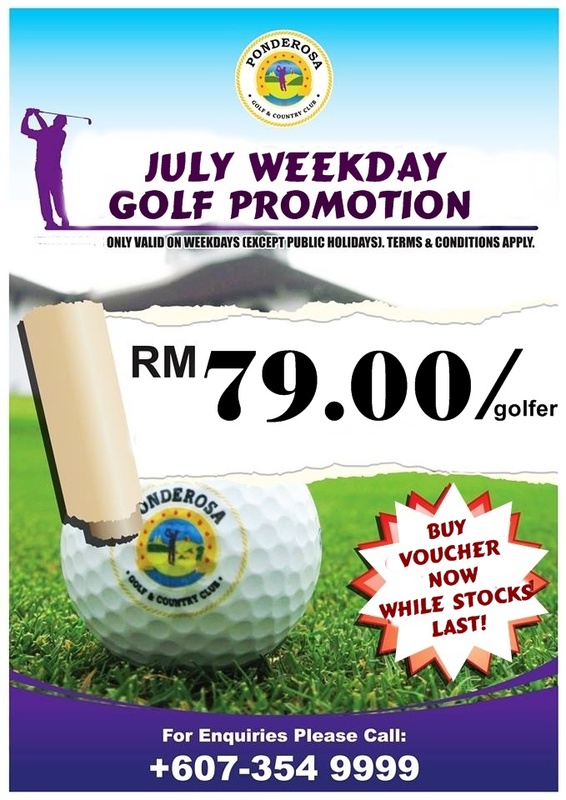 You need to purchase voucher in advance at Ponderosa Golf & Country Resort Berhad. July is Malay Ramaddan (fasting) month, anywhere are cheap in Malaysia. will cost around RM78 -Rm88.00 no need to buy voucher. Its Muslim bro... Not malays.. Sorry bro. I assumed 99.999% of malay in Malaysia are Muslim. Thanks for correction ya!! Its 99.999% of malay in Malaysia or Indonesia by default is Muslim.